Alberta has one of the highest rates of MS in the world, 340 out of 100,000 Albertans are diagnosed with MS. Multiple Sclerosis (MS) is characterised by a wide spectrum of symptoms including extreme fatigue, weakness, impaired sensations, vision and speech problems to name a few. 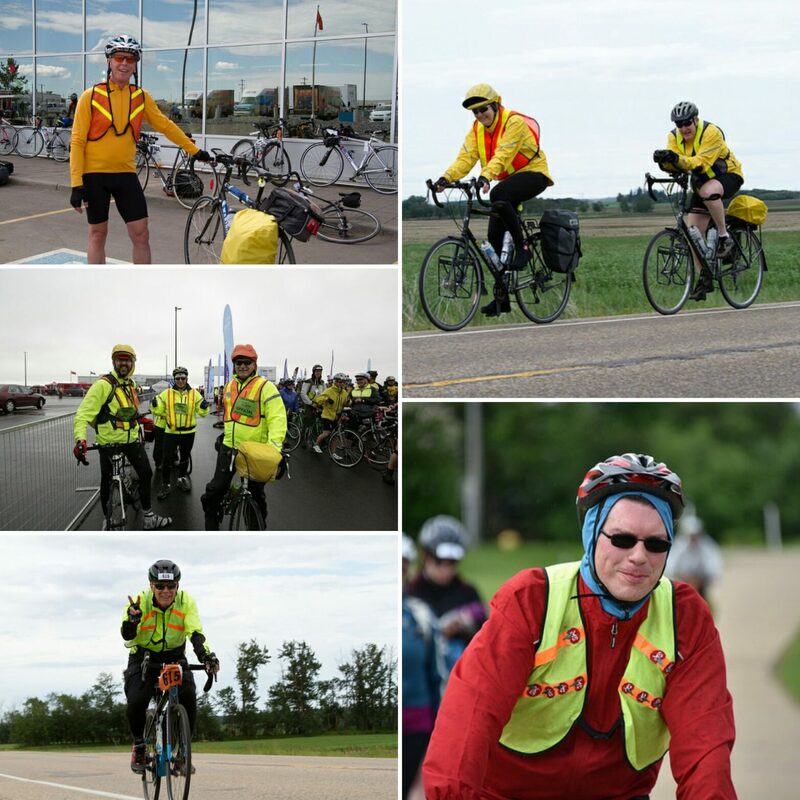 With this high frequency statistic it is no surprise that the Johnson MS Leduc to Camrose ride is the largest ride in Canada having set records for single participants and teams and raised the most funds for MS in all of Canada. Most riders have a family member, friend or acquaintance with MS.
For 27 years our club, EBTC has supported the efforts of the MS Society of AB and NWT by providing marshals for the ride. This year the 28th Johnson MS Leduc to Camrose ride will occur on June 10th – 11th 2017 and EBTC will be there supporting all the riders in their effort to raise funds used to support loved ones who suffer from MS and fund researchers and programs dedicated to finding a cure for this terrible disease. For 2017 EBTC has an MS Ride support committee consisting of Anne-Marie Adachi, Charles World and Terry Fannon, each having many years of experience with the MS ride. Our goal is to provide the MS Society with 50 volunteer marshals, (25 teams of 2) passionate about the cause and helping riders achieve their goal of safely completing the ride for their loved ones and their fundraising sponsors. To join our EBTC Marshal team, please sign up on our EBTC website Volunteer Registration page link AND the MS Registration page by following This Link to fill out a volunteer application. This is very important. Note: All marshals will be required to attend one of two mandatory meetings prior to the event where the responsibilities and logistics will be discussed. The date time and location of the meetings will be communicated at a later date. Early registration will guarantee overnight accommodation in the Augustana University College dormitory at Camrose.